If you find a den of baby skunks, or even a single baby skunk, and can return it to the den (or as close to the mouth of the den as possible), the mother, if present, should take it back. If you find a baby skunk that has its eyes open, can stomp its feet, and emits some odor when threatened, it is likely old enough to be on its own and you can leave it where it is. Because it is illegal to rehabilitate skunks in Nebraska, please try to leave uninjured baby skunks in the wild where they belong. If you need to discourage a mother with babies from denning under a building, please click here and follow the instructions to give the mother the opportunity to move the babies herself. If you see an adult skunk and it is uninjured, please leave it alone. If you are having issues with a skunk on your property, please visit this page to learn more about how to resolve them humanely. If you find an injured adult skunk, please contact the Nebraska Game and Parks Commission or your local animal control for further assistance. Because it is illegal to rehabilitate skunks in Nebraska, we unfortunately cannot assist injured skunks. 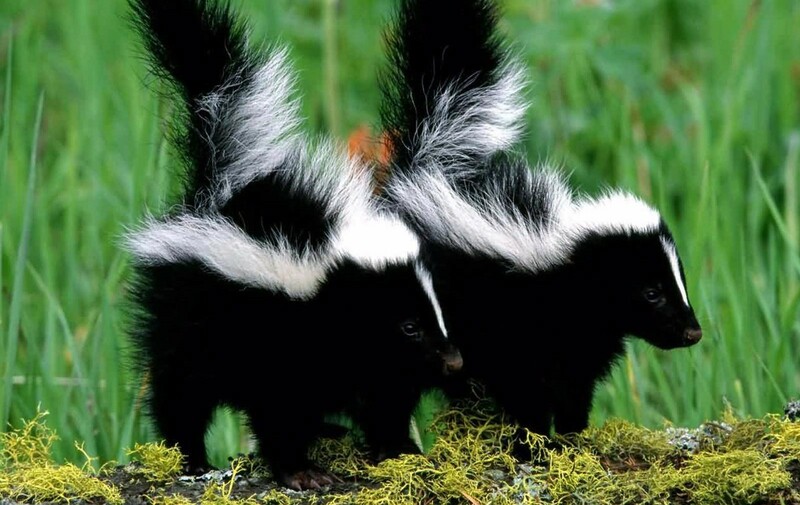 Skunks are the primary carrier of rabies in Nebraska. Luckily, most people don't ever get close enough to a skunk to be bitten, but this is the primary reason that you should NEVER try to raise a baby skunk or rehabilitate an injured skunk yourself. If you are bitten by a skunk and live in the Omaha area, please contact the Nebraska Humane Society at 402-444-7800 to have the skunk tested. If you live outside of the Omaha area and you see a skunk that is acting strangely (i.e. wandering around during the day, walking in circles, acting aggressively without provocation), contact the Nebraska Game and Parks Commission..